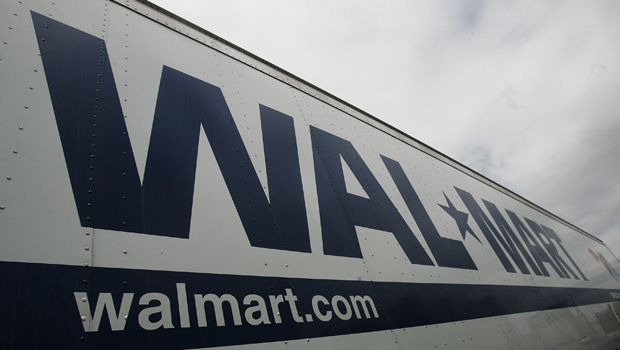 NEW YORK Wal-Mart Stores (WMT) said it is 'probable' that the world's largest retailer will incur a loss due to ongoing bribery investigations by itself and government agencies, but it says it is too early to speculate on the size of the damage. The company said it does not currently expect the loss to be material. The statements came in a filing with the Securities and Exchange Commission filing late Tuesday. Wal-Mart Stores has been dealing with allegations that surfaced last April that it failed to notify law enforcement that company officials authorized millions of dollars in payments in Mexico to speed up getting building permits and gain other favors. The Foreign Corrupt Practices Act forbids American companies from bribing foreign officials. The company has launched its own investigation and is working with government officials in the U.S. and Mexico. In November, the retailer said in a filing with the Securities and Exchange Commission that it was looking into potential U.S. bribery law violations in Brazil, China and India. In another filing Tuesday with the SEC, Wal-Mart Stores said that it expects to incur costs above the $157 million it spent on the probes in fiscal 2013 because of its ongoing review and other investigations as well as shareholder lawsuits. It also said it is "probable" that it will incur a loss from the matters, but did not give an estimate on how much. "Given the on-going nature and complexity of the review, inquiries and investigations, we cannot reasonably estimate any loss or range of loss that may arise from these matters," Bentonville, Ark.-based Wal-Mart said in the filing. The company said it does not currently think the lawsuits will have a "material adverse effect" on its business but said it is possible that could change in the future. "This is clearly a bad action, if found guilty, but we believe these issues and penalties will not dramatically impair their balance sheet and its ongoing business model," especially in the U.S., Janney Capital Markets analyst David Strasser said in a note to investors. He cited other cases where companies have been penalized for violating the FCPA. The biggest was Siemens, which paid $800 million to U.S. authorities and $800 million to German authorities in 2008. Even if Wal-Mart paid that, Strasser said, it would still be able to absorb the costs without significant problems. On the positive side, Strasser said the company has slowed growth and capital spending internationally, which should help its balance sheet. He kept his "Buy" rating on the stock. Shares fell 14 cents to $74.63 in morning trading.